National Aboriginal Day (French: Journée nationale des Autochtones) is a day recognising and celebrating the cultures and contributions of the First Nations, Inuit and Métis peoples of Canada. The day was first celebrated in 1996, after it was proclaimed that year by then Governor General of Canada Roméo LeBlanc, to be celebrated on 21 June annually. The date was chosen as the statutory holiday for many reasons-including its cultural significance as the Summer solstice, and the fact that it is a day on which many Aboriginal groups traditionally celebrate their heritage.The day of recognition came about after a series of calls for such a celebration. In 1982, the National Indian Brotherhood (now the Assembly of First Nations) called for the creation of a National Aboriginal Solidarity Day to be celebrated on 21 June. in 1995, the Royal Commission on Aboriginal Peoples recommended that a National First Peoples Day be designated. Also in that same year, a national conference of Aboriginal and non-Aboriginal people chaired by Elijah Harper, titled The Sacred Assembly, called for a national holiday to celebrate the contributions of Aboriginal peoples to Canada. 21 June often coincides with the summer solstice. National Aboriginal Day is now part of a series of Celebrate Canada days, beginning with National Aboriginal Day and followed by the National Holiday of Quebec on 24 June, Canadian Multiculturalism Day on 27 June, and concluding with Canada Day on 1 July. In 2001, members of the 14th Legislative Assembly passed the National Aboriginal Day Act making the Northwest Territories the first jurisdiction in Canada to recognise this day as a formal statutory holiday. English novelist and screenwriter Ian Russell McEwan CBE FRSA FRSL was born 21 June 1948 in Aldershot, Hampshire. He spent much of his childhood in East Asia (including Singapore), Germany and North Africa (including Libya), where his father was posted. His family returned to England when he was twelve. He was educated at Woolverstone Hall School; the University of Sussex, receiving his degree in English literature in 1970; and the University of East Anglia, where he undertook a master’s degree in creative writing.McEwan began his career writing sparse, Gothic short stories. The Cement Garden (1978) and The Comfort of Strangers (1981) were his first two novels, and earned him the nickname “Ian Macabre”. McEwan’s first published work was a collection of short stories, First Love, Last Rites (1975), which won the Somerset Maugham Award in 1976. He achieved notoriety in 1979 when the BBC suspended production of his play Solid Geometry because of its supposed obscenity.His second collection of short stories, In Between the Sheets, was published in 1978. The Cement Garden (1978) and The Comfort of Strangers (1981) were his two earliest novels, both of which were adapted into films. The nature of these works caused him to be nicknamed “Ian Macabre”. These were followed by Child in Time (1987), winner of the 1987 Whitbread Novel Award; The Innocent (1990); and Black Dogs (1992). McEwan has also written two children’s books, Rose Blanche (1985) and The Daydreamer (1994). In 1997, he published Enduring Love,about the relationship between a science writer and a stalker, was popular with critics, although it was not shortlisted for the Booker Prize, however it was adapted into a film in 2004. He won the Man Booker Prize with Amsterdam (1998). In 2001, he published Atonement, which was adapted into an Oscar-winning film starring Keira Knightley and James McAvoy and directed by Joe Wright. Time magazine named it the best novel of 2002, and it was shortlisted for the Booker Prize. This was followed by Saturday (2005), which follows an especially eventful day in the life of a successful neurosurgeon. Saturday won the James Tait Black Memorial Prize for 2005, and his novel On Chesil Beach (2007) was shortlisted for the 2007 Booker Prize. It was followed by Solar (2010), Sweet Tooth (2012), and The Children Act (2015). In 2011, he was awarded the Jerusalem Prize. McEwan has also written a number of produced screenplays, a stage play, children’s fiction, an oratorio and a libretto titled For You with music composed by Michael Berkeley.cSolar was published in 2010. In June 2008 at the Hay Festival, McEwan gave a surprise reading of this work-in-progress. 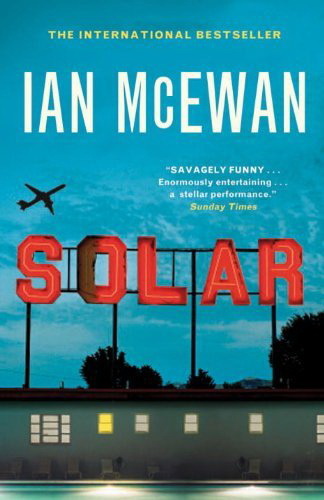 The novel includes “a scientist who hopes to save the planet” from the threat of climate change, with inspiration for the novel coming from a Cape Farewell expedition McEwan made in 2005 in which “artists and scientists…spent several weeks aboard a ship near the north pole discussing environmental concerns”. McEwan noted “The novel’s protagonist Michael Beard has been awarded a Nobel prize for his pioneering work on physics, and has discovered that winning the coveted prize has interfered with his work”. McEwan’s twelfth novel, Sweet Tooth, is historical in nature and set in the 1970s,and was published in 2012.McEwan’s next novel, The Children Act, is about high court judges. In 2006 he was accused of plagiarism; specifically that a passage in Atonement (2001) closely echoed a passage from a memoir, No Time for Romance, published in 1977 by Lucilla Andrews. McEwan acknowledged using the book as a source for his work. McEwan had included a brief note at the end of Atonement, referring to Andrews’s autobiography, among several other works. His debut novel The Cement Garden, also had key elements of the plot of which closely mirrored some of those of Our Mother’s House, a 1963 novel by British author Julian Gloag, which had also been made into a film. McEwan denied charges of plagiarism, claiming he was unaware of the earlier work. Several authors defended him, including John Updike, Martin Amis, Margaret Atwood, Thomas Keneally, Kazuo Ishiguro, Zadie Smith, and Thomas Pynchon. McEwan has been nominated for the Man Booker prize six times to date, winning the Prize for Amsterdam in 1998. His other nominations were for The Comfort of Strangers (1981, Shortlisted), Black Dogs (1992, Shortlisted), Atonement (2001, Shortlisted), Saturday (2005, Longlisted), and On Chesil Beach (2007, Shortlisted). McEwan also received nominations for the Man Booker International Prize in 2005 and 2007. He is a Fellow of the Royal Society of Literature, a Fellow of the Royal Society of Arts, and a Fellow of the American Academy of Arts and Sciences. He was awarded the Shakespeare Prize by the Alfred Toepfer Foundation, Hamburg, in 1999. He is also a Distinguished Supporter of the British Humanist Association. He was awarded a CBE in 2000. In 2005, he was awarded Dickinson College’s Harold and Ethel L. Stellfox Visiting Scholar and Writers Program Award, in Carlisle, Pennsylvania. In 2008, McEwan was awarded the honorary degree of Doctor of Literature by University College London, where he used to teach English literature. In 2008, The Times named McEwan among their list of “The 50 greatest British writers since 1945”.In 2010, McEwan received the Peggy V. Helmerich Distinguished Author Award. The Helmerich Award is presented annually by the Tulsa Library Trust.mOn 20 February 2011, he was awarded the Jerusalem Prize for the Freedom of the Individual in Society, which caused some controversy. In 2012 the University of Sussex presented McEwan with its 50th Anniversary Gold Medal in recognition of his contributions to literature.In 2014, the Harry Ransom Center at the University of Texas paid $2 million for McEwan’s literary archives. Joey Kramer,the American drummer and percussionist with Rock Band Aerosmith, was Born 21st june 1950. sometimes referred to as “The Bad Boys from Boston” and “America’s Greatest Rock and Roll Band.” The band was formed in Boston, Massachusetts in 1970. Guitarist Joe Perry and bassist Tom Hamilton, originally in a band together called the Jam Band, met up with singer Steven Tyler, drummer Joey Kramer, and guitarist Ray Tabano, and formed Aerosmith. In 1971, Tabano was replaced by Brad Whitford, and the band began developing a following in Boston, Their style, which is rooted in blues-based hard rock, has come to also incorporate elements of pop, heavy metal, and rhythm and blues, and has inspired many subsequent rock artists. They were signed to Columbia Records in 1972, and released a string of multi-platinum albums, beginning with their 1973 eponymous debut album, followed by their 1974 album Get Your Wings. In 1975, the band broke into the mainstream with the album Toys in the Attic, and their 1976 follow-up Rocks cemented their status as hard rock superstars.The band released two more albums, toured extensively, and charted a string of Hot 100 singles. By the end of the 1970s, they were among the most popular hard rock bands in the world and developed a loyal following of fans, often referred to as the “Blue Army”. However, drug addiction and internal conflict took their toll on the band, which resulted in the departures of Perry and Whitford in 1979 and 1981, respectively; they were replaced by Jimmy Crespo and Rick Dufay. The band did not fare well between 1980 and 1984, releasing a lone album, Rock in a Hard Place, which went gold but failed to match their previous successes. Perry and Whitford returned in 1984 and the band signed a new deal with Geffen Records. After a comeback tour, the band recorded Done with Mirrors, which won some critical praise but failed to come close to commercial expectations. It was not until the band sobered up and released 1987′s Permanent Vacation that they regained the level of popularity they had experienced in the 1970s. Throughout the late 1980s and 1990s, the band scored several hits including “dude,looks like a lady”and “love in an elvator“, and won numerous awards for music from the multi-platinum albums Pump, Get a Grip, and Nine Lives. The band also became a pop culture phenomenon with popular music videos and notable appearances in television, film, and video games. Their comeback has been described as one of the most remarkable and spectacular in rock ‘n’ roll history. Additional albums followed in 2001 and 2004. After 42 years of performing, the band continues to tour and record music. The latest album, Music from Another Dimension, was released in, 2012. 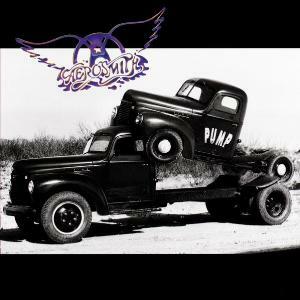 Aerosmith is the best-selling American rock band of all time, having sold more than 150 million albums worldwide,including 66.5 million albums in the United States alone. They also hold the record for the most gold and multi-platinum albums by an American group. The band has scored 21 Top 40 hits on the Billboard Hot 100, nine number-one Mainstream Rock hits, four Grammy Awards, and ten MTV Video Music Awards. They were inducted into the Rock and Roll Hall of Fame in 2001, and were included among both Rolling Stone’s and VH1′s lists of the 100 Greatest Artists of All Time. From the perspective of yoga, the Summer Solstice marks the transition to Dakshinayana. The first full moon after Summer Solstice is known as Guru Poornima. According to Sadhguru Jaggi Vasudev, in the yogic lore, the first transmission of yoga by Shiva, the first Guru, is said to have begun on this day. Dakshinayana is also considered a time when there is natural support for those pursuing spiritual practices. Govind Gurbani Yog Guru / Vice President of Rajasthan Swasthya Yog Parisad Jaipur India informed that on 21 June fifty thousand followers of Yoga will perform Yoga in Rajasthan.This initiative found support from many global leaders. At first, the Prime Minister of Nepal Sushil Koirala supported the proposal of Modi. More than 177 countries including USA, Canada, China and Egypt have supported this move, including 175 nations co-sponsoring the resolution. It had the “highest number of co-sponsors ever for any UNGA Resolution of such nature.”On Dec 11, 2014, the 193-member U.N. General Assembly approved by consensus a resolution establishing June 21 as ‘International Day of Yoga’. The resolution also saw a record number of 177 countries co-sponsoring it. Prior to the 2014 UN resolution declaring June 21 as International Day of Yoga, formal and informal groups of yoga teachers and enthusiasts celebrated World Yoga Day on dates other than 21 June in support of various causes. In December 2011, international humanitarian and meditation and yoga Guru Sri Sri Ravi Shankar and other yoga gurus, supported the cause from the delegation of the Yoga Portuguese Confederation and together gave a call to the UN to declare June 21 as World Yoga Day. The two-day conference titled ‘Yoga: A Science for World Peace’ was organized by The Art of Living and SVYASA Yoga University, Bengaluru, jointly with Yoga Portuguese Confederation of Lisbon, Portugal on 4th and 5 December 2011, at The Art of living International Centre. On that day, under the leadership of Sri Sri Ravi Shankar a proclamation was signed for having UN and UNESCO declare the 21 June as ‘World Yoga Day’ at Art of Living international Centre at Bangalore, India. HH Sri Sri Ravi Shankar, Founder, The Art of Living; HH Shri Swami Bala Gangadharanath of Adi Chun Chun Giri Mutt; HH Swami Paramátmánanda, General Secretary of the Hindu Dharma Acharya Sabha; BKS Iyengar, Ramamani Iyengar Memorial Yoga Institute, Pune; HH Swami Ramdev, Patañjali Yogpeeth, Haridvar; HH Dr. Nagendra, Vivekánanda Yoga University, Bengaluru; HH Jagat Guru Amrta Súryánanda Mahá Ráj, President of Yoga Portuguese Confederation; HH Subodh Tiwari, Keivalyadhama Yoga Institute; Dr. D.R Kaarthikeyan, Advisor: Law-Human Responsibilities-Corporate Affairs and Dr. Ramesh Bijlani, Aurobindo Ashram, New Delhi were present for the conference. imageGo Skateboarding Day (GSD) is an official annual holiday conceived by the International Association of Skateboard Companies (IASC) to promote skateboarding, which is celebrated on June 21. This year (2015) it will be on fathers day. The event was conceived in 2004 by the International Association of Skateboard Companies (IASC) to help make skateboarding more accessible to the world through various events held in major cities around the world. In 2006, more than 350 events took place in 32 countries around the world, and, the following year, the IASC received Special Congressional Recognition from US Congresswoman Loretta Sanchez for its work in promoting the sport of skateboarding and encouraging young people to get outside and enjoy the sport. This holiday is celebrated by millions of skaters around the world. 5boro Skateboards founder/owner, Steve Rodriguez, started Go Skateboarding Day in NYC. It was originally titled the All City Skate Jam. Now GSD accrues thousands of participants in each year all over the world. GSD NYC is considered one of the largest single gatherings of skateboarders in the world and is now considered an official holiday. Unfortunately Some skaters celebrating Go Skateboarding Day have had conflicts with the law in the past. One of the more notable incidents involved skaters Matt McCormack, Skylar Nalls, Robbie Brindley, Casey Canterbury and several other friends in Hot Springs, Arkansas where they were involved in an incident with police and were arrested. Baird and the involved skaters contend that the police used excessive force, while the police maintain that the officer was enforcing a city ordinance. World Humanist Day is a Humanist holiday celebrated annually around the world on the June solstice, around June 21st As a way of spreading awareness of Humanism as a philosophical life stance and means to effect change in the world. It is also seen as a time for Humanists to gather socially and promote the positive values of Humanism. The holiday developed during the 1980s after several chapters of the American Humanist Association (AHA) began to celebrate it. At the time, the date on which it was celebrated varied from chapter to chapter, with selections such as the founding date of the IHEU, or International Humanist and Ethical Union. From the late 1980s to the early 1990s, the AHA and IHEU passed resolutions declaring World Humanist Day to be on the summer solstice. The manner in which World Humanist Day is celebrated varies considerably among local Humanist groups, reflecting the individuality and non-dogmatism of Humanism as a whole. Whilst the event might be a simple gathering, such as a dinner or picnic, with ample time for both socialising and reflection, the method of celebration is down to the individual. Some groups actually develop intricate social rituals, music, and proceedings which highlight the metaphoric symbolism of the solstice and the light (knowledge) which brings us out of darkness (ignorance). Despite this World Humanist Day has not yet become a fully celebrated holiday in all Humanist organizations, although many of them are beginning to recognize it and plan events and activities around the holiday. International Humanist and Ethical Union lists several different ways that national and local Humanist groups celebrate World Humanist Day. For example, the Dutch Humanist Association broadcast short films about World Humanist Day on Dutch TV in 2012. In 2013, the first National Humanist Day will be organized in The Netherlands. The Humanist Association of Ireland held poetry readings in the park to celebrate the day. The Humanists of Florida Association suggested that groups hold Introduction to Humanism classes on World Humanist Day. The Fête de la Musique, also known as Make Music Day or World Music Day, is celebrated annually on June 21, around the world.The concept of an all-day musical celebration on the days of the solstice, was originated by American musician Joel Cohen, who spent two seasons as a producer of musical radio programs for the French National Radio (France Musique). The idea was adapted as a national celebration each June 21 in France and made official by the French Minister of Culture, Jack Lang. The festival later became celebrated in 120 countries around the world. October 1981, Maurice Fleuret became Director of Music and Dance at Minister of Culture Jack Lang’s request, and discovered, in a 1982 study on the cultural habits of the French, that five million people, one child out of two, played a musical instrument, he began to dream of a way to bring people out on the streets. It first took place in 1982 in Paris as the Fête de la Musique. Since then he festival has become an international phenomenon, celebrated on the same day in more than 700 cities in 120 countries, including Germany, Italy, Greece, Russia, Australia, Peru, Brazil, Ecuador, Mexico, Canada, the United States, and Japan. ’s the purpose Of Fête de la Musique is to promote music in two ways and Amateur and both professional musicians and amateur musicians are all encouraged to perform in the streets, under the slogan “Faites de la musique” (“make music”, a homophone of Fête de la Musique). Many free concerts are also organized, to make all genres of music accessible to the public. in order to organize an official event it must be approved by the official Fête de la Musique organization in Paris and must be free to the public, with all performers donating their time for no fee. However despite there being a large tolerance about the performance of music by the general public of amateurs in public areas after usual hours, noise restrictions apply, and some establishments are forbidden to open and broadcast music out of their doors without prior authorization.